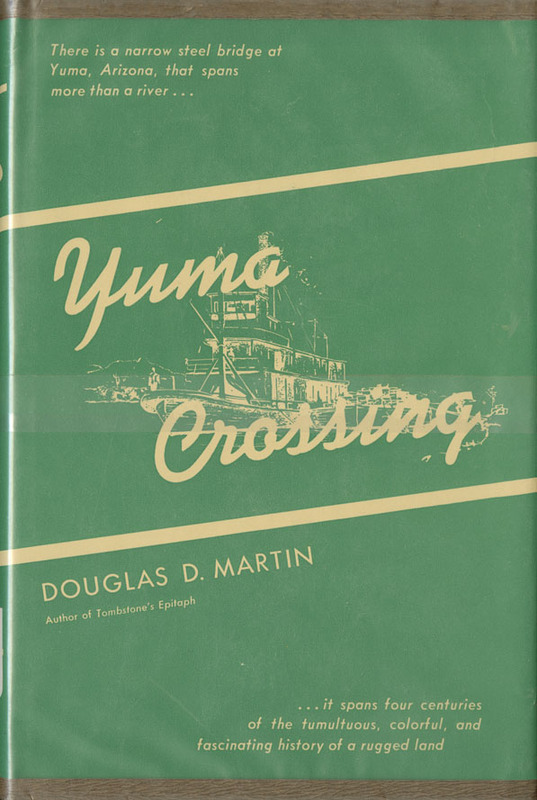 Martin, Douglas D , “Yuma Crossing ,” Arizona 100: Essential Books for the Centennial, accessed April 21, 2019, http://speccoll.library.arizona.edu/online-exhibits-dynamic/az100/items/show/251. 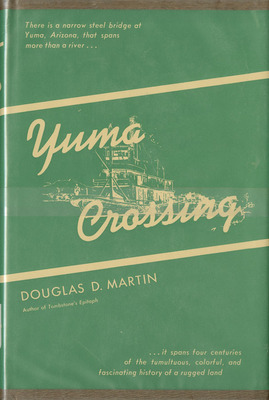 Martin, a Pulitzer Prize winning newspaperman and head of the University of Arizona Journalism Department, recognized the inherent drama in the cavalcade of peoples and cultures that converged at the crossing of the Colorado River and wrote this popular account that, after a half century, remains the most readable overview of the Native American, Spanish, and American presence in the area through the steamboat era. Albuquerque : University of New Mexico Press, 1954. 243 p. illus. 24 cm.